Modern Times at the Manor profiles the final Count at Gammel Estrup, Christen Scheel (1853-1926), who moved into the manor house in 1918. 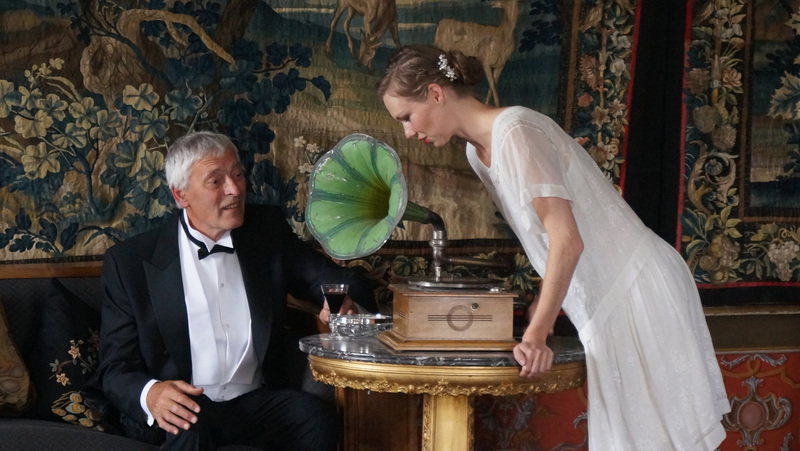 When Christen, Count Scheel, his wife and two of his 11 children moved into Gammel Estrup, they fitted it out with modern, technological inventions such as a gramophone, a telephone and a variety of electrical appliances mixed with heirlooms, artefacts and furniture from previous generations. Modern Times at the Manor features the Count’s Drawing Room, which was the family’s everyday living room, the Smoking Room, where the count could retire with a good cigar, the Corridor next to the Count’s Drawing Room and the Studio, where visitors can take their own photographs. The exhibition is the grand finale of the general plan for restoring the manor which the museum has been working on for almost 10 years. The results of the museum’s restoration and dissemination plan have been overwhelmingly welcomed by the museum’s guests and have also been strongly contributing to the fact that the museum received this prestigious Europa Nostra award in 2017.